Here's a lighthearted album that meanders across various classical and world music genres. There's a natural fluency to the way Israeli composer and pianist Ronn Yedidia writes for the terrific clarinetist Alexander Fiterstein, whether Yedidia is borrowing from Arab, Spanish, klezmer or jazz idioms. The tune "World Dance" for clarinet and piano is jaunty and irresistible. 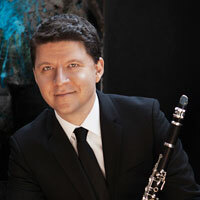 The more straightforwardly classical "Concertino" for clarinet, piano and strings is more serious, with an extraordinary cadenza that shows Fiterstein at the top of his game.